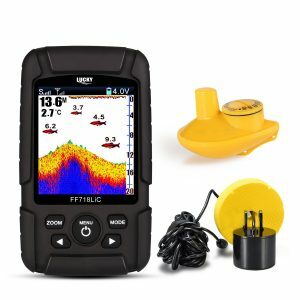 What is the best fish finder under 200? 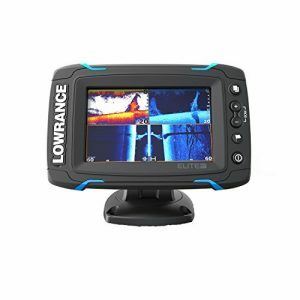 Choosing the best fish finder under 200 can be trying as in today’s modern world we are inundated with choice. Different manufacturers create tens of different models each having have different features. Some have more advanced technologies while others are basic models with limited functionality. If you wanted, you could spend hours trying to choose a suitable scanner. We understand your dilemma and want to help. We know just the information to present to you. We know you want to spend as little time possible choosing a fish finder. Luckily, we can help! We have exceptional knowledge in this field. We know which features are desirable in a scanner and which models offer great value for money. In the paragraphs below, we will share our knowledge and help you choose the best fish finder under 200 so your trips can be more enjoyable! 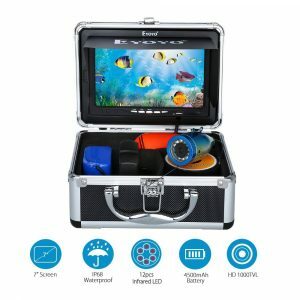 How to buy a fishfinder? First, understand why a fishfinder is useful. This device helps you locate fish in the water. Instead of spending hours without a catch, you can use this device to get directly to your prey. 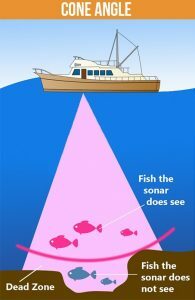 Fish finders have complex sonar and scanning equipment allowing them to scan underneath your boat and present an image of what they find (i.e., fish). Moreover, they can help identify the bed of the water, or seabed and other useful info. When choosing a scanner, be informed and think carefully about what you need. What environment do you usually fish in? Do you head out into open waters and the sea, or do you fish on lakes and shallower waters? How much info do you require? Do you simply want to know where the fish are? Or do you want to know more complex info? This should greatly alter which top-rated fishfinder you choose. 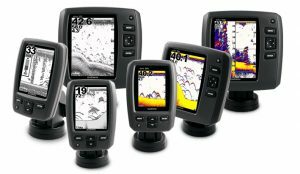 In the sections below, we share our knowledge and will help you choose the best budget fishfinder and understand which features are important. 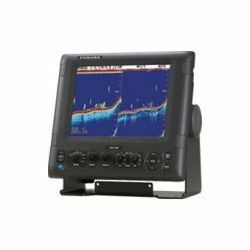 What is the best type of fishfinder? There are three main categories of GPS devices – standalone, combination, and networked. Which equipment you choose depends on personal preference and how much information you want to display. Standalones – Standalone devices are usually the most basic models. These scanners will simply show what is beneath you in the water. You will not benefit from a host of other complex stats and display figures. For basic trips, a standalone device will suffice. If for example you are sailing on a lake, you will have no need for complex displays and figures. Combination – Combination fish finders are more complex. First, they offer a simple scanning function. Moreover, they usually offer GPS navigation and split screen functionality. Combination fish finders include other stats such as water temperature, water depth, size of fish, and traveling speed. If you want more detail, a combination scanner is a great choice. These models are usually more expensive than standalone models. Networked – If you are looking for the most complex and advanced GPS device, a networked finder is the way to go. Networked scanners can connect to supporting systems using GPS or WiFi. This allows you to access a much wider array of data. You can access information such as: GPS navigation charts, satellite radio, and even video. Some networked scanners can even be connected to your smartphone to control! Frequency and Power are two important factors of a GPS device. 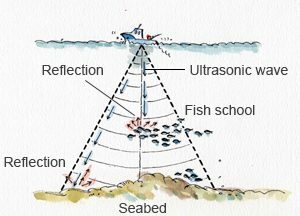 The frequency relates to the kHz of the fish scanner. The transducer will come in several frequencies such as 50kHZ, 93kHZ, 192kHZ or 200kHz. This directly correlates with the cone angle of your radar. A scanner could have three frequency capabilities – single, dual, and multiple. 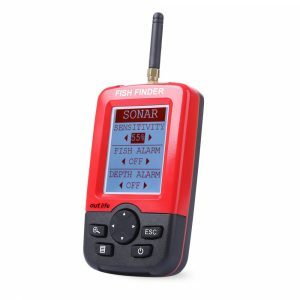 Single frequency fish finders can only use one specific frequency. 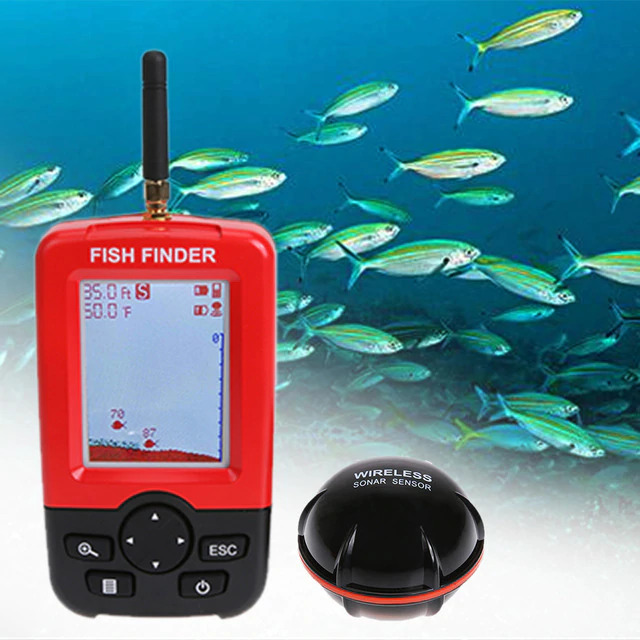 Dual frequency fish finders have two available – usually a high and low frequency to suit both shallow and deep water. Finally, we have multiple frequency fish finders.This device has multiple frequencies to use giving greater flexibility. Consider the water you will generally be sailing in. 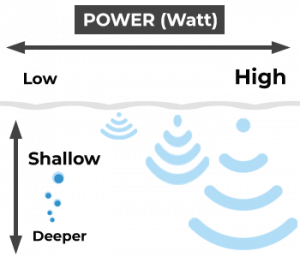 Higher frequencies give more detail, but are suitable for shallow water. Alternatively, lower frequencies are preferable for deeper water. 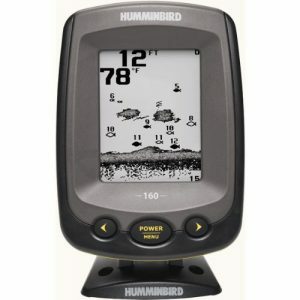 Power is also a key factor – the greater the wattage, the faster and more reactive the fish finder’s display is. The general consensus goes that 100W at 50kHz equates to a transducer reading of 400ft. Consider this formula when looking at power ratings. 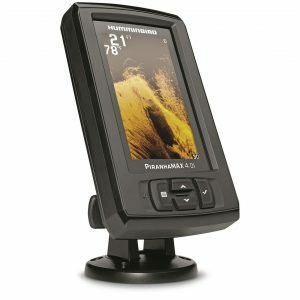 Color or black & white display of the fishfinder? 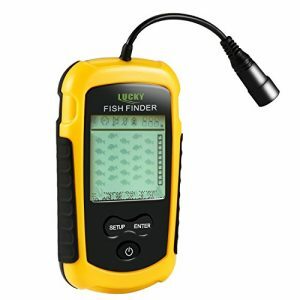 In today’s world, fish finders usually have a color displays but there are models that still have a black and white display. In most cases, you will benefit from a color display. You can see details easier, and the screen will be more vivid and detailed. At night with limited visibility, a color screen is an asset while a black and white screen is limiting. Black and white displays are cheaper, but you can easily find a fishfinder under 200 with a color screen. We advise purchasing a scanner with a color screen – it significantly enhances your experience. When considering the display, look at the resolution. Different fish finders will have varying screen resolution qualities. A lower screen resolution with fewer pixels provides a poorer quality picture. As a minimum, aim for a screen resolution of at least 240px x 160px – anything less detailed the quality will be terrible. 240px x 160px still isn’t huge, if you can afford it – go bigger! 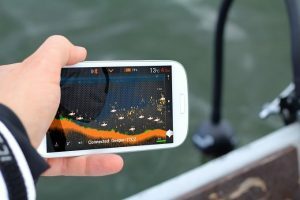 A smaller screen size could be used for a backup fishfinder. If you want the best quality, your main device screenshould be a minimum of 800px x 600px. A fish finder uses a transducer with a cone vision to scan the water. Imagine a cone with the point attached to your device. The cone expands and gets wider as it pushes further out – this is how your scanner picks up a signal and relays a picture measured in degrees. Transducer cone angles usually span from 9 through 60 degrees. The higher degree, the wider field of vision you will have. A wider field of vision can, however, degrade quality and signal strength can drop off. Consider the water you will typically fish in. A popular cone degree angle is considered to be between 16 and 20 degrees. Fish finders can either be portable or mounted. Each has its own benefits. The best fish finders with GPS will generally be mountable. They need to be mounted due to their larger size and complex operations. Consider the vessel you will generally use your equipment on. If you primarily use a boat, a mounted scanner GPS combo is desirable. If you own the boat, you can simply fix your scanner in place. Alternatively, if you are kayak fishing or using temporary water transport, a portable scanner is ideal. You can secure it in place while operating, and remove it when you have finished to put back in storage. 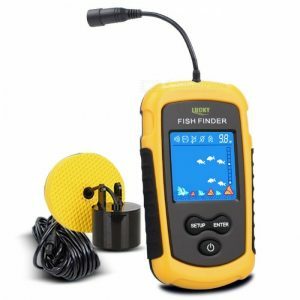 If you happen to be on a budget and cost conscious, or if you’re just starting out as a fisherman and looking to get your feet wet without spending too much money, you would ideally wish to find the best fish finder under 200. A fish finder is an extremely useful tool allowing you to find if there are any fish in the water, ultimately making those fish easier to catch. Obviously, every fisherman could use a gadget like this. But how to find one with reliable and high-quality performance while keeping your expenses minimal? Here, we have you covered, as we’ll be going through 10 of the best inexpensive fish finders on the market today so you can go easy on your wallet. Power: 4000 mAh rechargeable battery included. only works at depths up to about 99 ft. 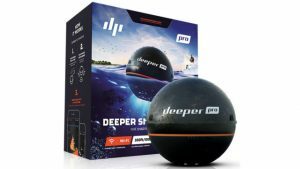 Verdict: Since it’s only effective at up to 99 ft. deep, it’s certainly not the best depth finder under 200 you’ll come across for salt water, but for fresh water, it’s extremely useful and maybe even more reliable than sonar. If you only plan to fish at relatively shallow depths, we recommend it. Otherwise, a different unit would be better. Frequency: 125 kHz and 200 kHz. Power: Comes with rechargeable 3.7 V battery. Cone Angle: 45° at 200 kHz and 90° at 125 kHz. Verdict: Since a number of fish finders at this price range don’t include GPS, the fact this unit does makes it especially attractive. We recommend it. Frequency: 83 kHz and 200 kHz. Power: 4000 watt PTP power output. Cone Angle: 60° for 83 kHz and 20° for 200 kHz. Verdict: Although there’s no GPS capability with this model, it still has excellent capabilities when you consider its price. We unreservedly recommend it. Frequency: 200 kHz and 77 kHz. Power: Uses a 12 V battery. Charger included. Cone Angle: 15° at 200 kHz and 45° at 77 kHz. Verdict: As with all cheap fishfinders, it’s extremely small, but if portability is your priority, the easy-to-use interface and excellent transducer make this unit a bargain. We recommend it. Power: Uses a 12 V battery. depth capability of up to 1,900 ft. 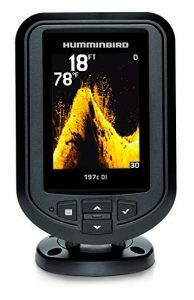 Verdict: As expected, Garmin knocks it out of the park yet again with the Garmin Striker 4 Fishfinder. This unit is small and inexpensive, but enormously versatile and capable. We recommend it. Frequency: 77 and 200 kHz (CHIRP), as well as 455 and 800 kHz (ClearVü). Power: Comes with 12 V battery. Charger included. Verdict: Given its extraordinary depth capability, this is easily the best fishfinder under 200 dollars. Sure, it doesn’t include pre-installed maps, but this feature is virtually impossible to find at this price level. We strongly recommend it. Frequency: 16° and 28° (CHIRP), as well as 75° (Down Imaging). Power: Works with 10.8-20 V DC battery. Cone Angle: 28° at 200 kHz, 16° at 455 kHz and 45° at 455 kHz (Down Imaging). 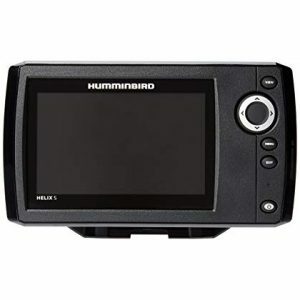 Verdict: Among all of the products we’ve reviewed, this is far and away the best Humminbird fishfinder. Its combination of affordability and high quality make it impossible for us not to recommend it. Power: Uses 4 AAA batteries. Screen: About 3 inches across. Cone Angle: 15° at 200 kHz and 45° at 125 kHz. Verdict: If getting a fishfinder at the lowest price possible is your first priority, this unit is as good as it gets. With respect to its core features, it’s competitive with much more expensive units. Buy it if you want to save money above all. Frequency: 90 kHz and 290 kHz. Power: Rechargeable battery that lasts for 5.5 hours of continuous use. Cone Angle: 15° (narrow beam at 290 kHz) and 55° (wide beam at 90 kHz). Verdict: If you plan to go fishing in a kayak, you simply can’t go wrong with this unit. For kayak fishing, this is perhaps the best fishfinder of 2019. We recommend it. Power: 800 watts (max power output). Verdict: While it is arguable whether it is absolutely the best fishfinder at our price range, it is a fine model overall. It certainly deserves a look. Since those who are in the market for highly inexpensive fish finders are more likely to be beginners when it comes to using them, we thought it would be wise to include answers to a few basic and frequently asked questions about fish finders along with our reviews. Our goal is to increase your knowledge and understanding of fishfinders, so you you’ll be informed while searching through the market. We hope to equip you with the knowledge you need to become a smarter shopper, and become more confident in your ability to select the fish finder that best suits your needs. What does a fish finder do? In simple terms, as their name suggests, fish finders are designed to help you find fish. They do this by emitting sound waves into the water from their transducers. When the waves come into contact with an object, like a fish, they are reflected back. 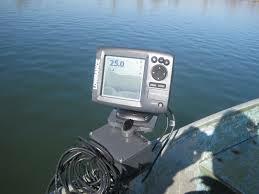 From this information, the fish finder can determine the size, shape, and composition of an object. 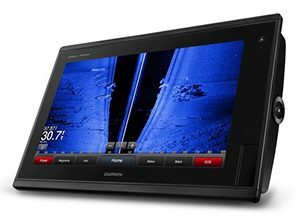 The best fishfinder is one that is able to present as accurate and reliable an image as possible. Who makes the best depth finder? At a price range of under $200, the available fish finders generally have limited depth capabilities. You’re not likely to find a model that offers a depth capability of more than about 300-400 feet at such a price range, although there are exceptions to this rule. 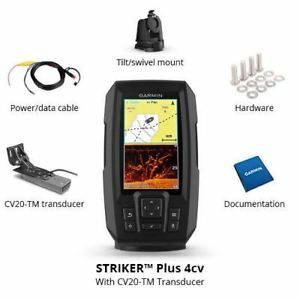 One such exception is the Garmin Striker Plus 4Cv with Cv20-TM Transducer which has a depth capability of an astonishing 2,300 feet. 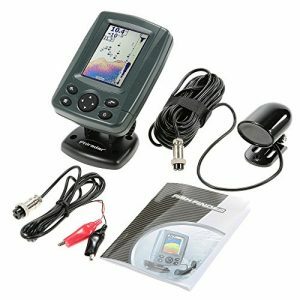 This gives it one of the qualities of a top fishfinder without the associated price. 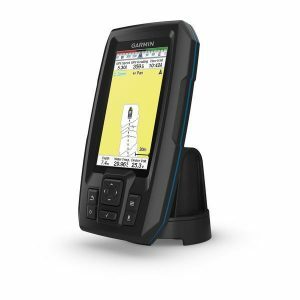 In general, Garmin is a company with a strong reputation for producing high-quality fish finders, their products come highly recommended for deep-water fishing. 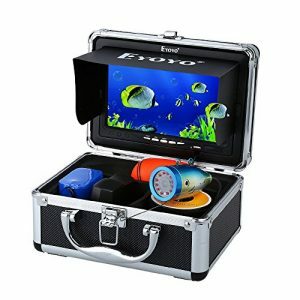 What is the best fishfinder under 200? 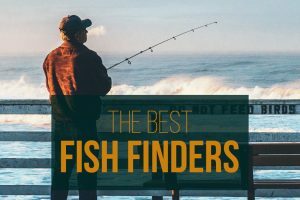 With all we’ve discussed here, we hope to have set you well on the path to finding the best fish finder under 200. 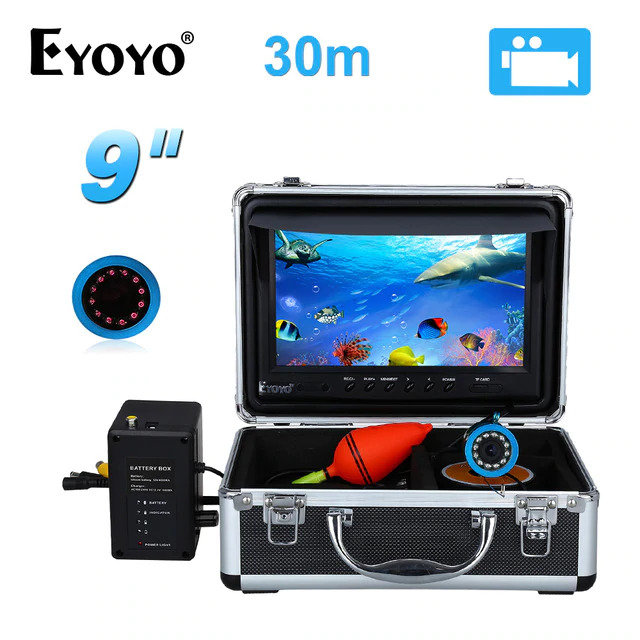 If you want crisp and clear video that shows exactly what’s going on beneath the water’s surface, the Eyoyo Portable 9 inch LCD Monitor Fish Finder is an excellent product we could not recommend more highly. However, that unit is unorthodox in that it is a camera system and does not offer traditional sonar. 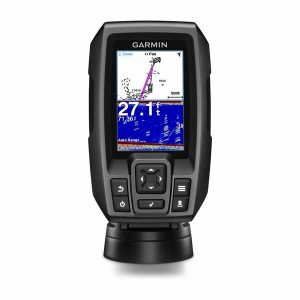 If you insist on a traditional sonar system, the amazing depth capability and wealth of excellent features possessed by the Garmin Striker Plus 4Cv with Cv20-TM Transducer make it the obvious choice. Each of these deserves the attention of every serious and cost-conscious fisherman, and we encourage you to give them all an attentive look. fisherinfo.com is a participant in the Amazon Services LLC Associates Program, an affiliate advertising program designed to provide a means for sites to earn advertising fees by advertising and linking to Amazon.com. Additionally, fisherinfo.com participates in various other affiliate programs, and we sometimes get a commission through purchases made through our links.